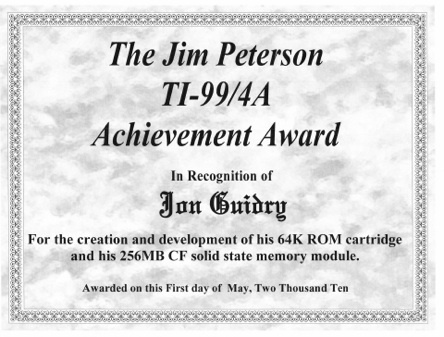 This is Jon's TI-99/4A web page - pictures of TI-99/4A, Geneve, and CC-40 equipment, modules, and accessories. Hi, and welcome to www.hexbus.com! Texas Instruments TI-99/4A, Geneve, and CC-40 pictures, downloads, and links. Please feel free to look around the site. The navigation, above, is self-explanatory. There is a wealth of information here, and it is always being updated. Enjoy! TI used this at shows across the country to demo multiple cartridges on the /4A. It plugged into the expansion port on the side of the /4A. I own two of these boxes.